After so much hassle in Haryana for the implementation of the Real Estate (Regulation and Development) Act, 2016 now HRERA seems to be in line; both the authorities of Haryana i.e. Panchkula and Gurugram have started accepting the RERA complaints and home-buyers of the State now can have a sigh of relief. 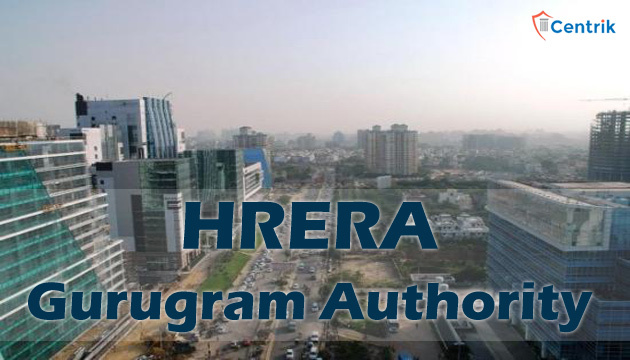 If we talk about the Gurugram, HRERA Authority it has recently been constituted in the month of Feb and in March it started the hearing process, on March 27 they took its first hearing and till date they have heard 60 complaints of the home-buyers. In HRERA Gurugram, the days of hearings are fixed and every week the hearings are supposed to be held on Tuesdays and Thursdays. After accepting the complaints, the RERA authority is giving 1-2 weeks’ time to the respondent to file their replies. Chairman KK Khandelwal said – if the respondent fails to file a reply within the given time then the authority will pass the order. He further said that they hope that they will expedite and dispose off the matter within 60 days, as mentioned in the provisions of the RERA Act. So far, since the inception of the Gurugram RERA Authority, the authority has accepted and registered 150 complaints and as large number of projects are running behind the schedule and developer’s has already got the sum from the home buyers, the cases are predominantly for the delay in possession and the complainants are asking for the refund along with the interest on the amount they have paid. RERA complaint before Gurugram jurisdiction of Haryana RERA Authority shall be filed in a format which has already been prescribed . Before submitting the hard copies of the complaint, online filing for the same should be done and thereafter the complaint should be filed, wherein a sequence of the events, brief facts, issues to be decided and the relief sought all these are mandatory to mention. After registering a complaint respondents have 21 days’ time to file a detailed point-wise reply to the issues raised by the government. Here, we can infer that Gurugram Authority of HRERA is now on the right track and by every passing day home-buyers of the Gurugram can expect something positive in their favor.